Nearly a decade’s worth of memories have been made in this centrally located, mall-meets-train-station. 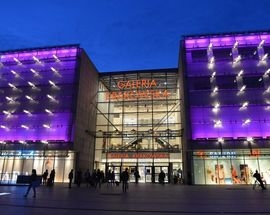 From warm weekends with our loved ones to the tales of travelers rushing by, there’s plenty of reasons to commemorate Galeria Krakowska’s 10 year anniversary. Join in on the celebration between November 4th and November 6th and witness client metamorphoses (carried out by Joanna Horodyńska and Thomas Jacyków) while enjoying the available refreshments. Food will be prepared by the finalists of the fourth edition of Masterchef: Damian Kordas and Adam Kozanecki. We’re already looking forward to the birthday cake.